After 16 seasons with the first team and 22 years at FC Barcelona, Sunday, May 20 will be Andrés Iniesta’s final day in a Barça uniform, and it will come in the final La Liga match of the season, at Camp Nou, against Real Sociedad. Thus, before kickoff, the Camp Nou fans will display a stadium-wide mosaic in honor of the team’s first captain. 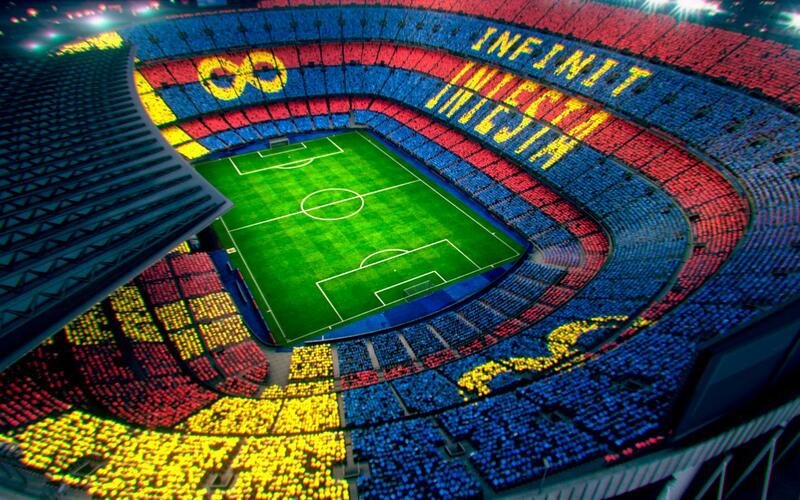 The mosaic will spell out the words “Infinit Iniesta” with the symbol for infinity displayed at each end, in line with the Club’s #Infinit8Iniesta campaign. The fans will also have a chance to celebrate the recent titles won in La Liga and the Copa del Rey, which was the eighth domestic double in Club history. Before the game, the Club has organized activities for fans outside the stadium dedicated both to Iniesta and the two titles. Then, after the final whistle, inside the stadium, there will be a special celebration to draw the season to a close.